Cochlear Implants have returned hearing to many people who could not otherwise hear. Pioneer Cochlear Implantee, Shirley yesterday celebrated 25 years since she received her implant. A cochlear implant - a cure for deafness? Recently on one of our forums someone asked about whether a Cochlear Implant is a cure for deafness. What is a cure? How does airport security affect me and my cochlear implant and other devices I need to carry? Recently I was asked a lot of questions about what it’s like to wear a Cochlear Implant. Here’s some of the questions and my answers. Cochlear implants have proven to work well in adults. If you are struggling with a hearing aid, then it may be time to look into getting better sound. Do deaf children benefit from having a Cochlear implant and if so how? Does it give them a better future, improved opportunity for education and are there social benefits? Having a Cochlear implant is a difficult decision for many people. This article looks at the key issues in the decision process and then compares that with the decision to have a bi-lateral implant. Cecile says - I was born deaf and had struggled through mainstream education all my life. I had heard a friend of mine – who was actually deafer than me – had had a successful cochlear implantation. I wanted to improve my life and decided to have the implant. While the cochlear implant was ground breaking in 1978, it still had a long way to go before it could be a commercial product. By 1982 the product was small enough to be portable, the Cochlear company was born and Graham Carrick became the first recipient of the commercial implant. A week of celebration pushed my hearing to the limits and my cochlear implant helped me cope. It’s so hard to believe that it is going on 9 years since I had my first Cochlear Implant. It’s such a long time that I’ve found myself thinking about how I feel about it now, as well as the differences and changes it has made in my life. When I examined why it takes someone so long to make the decision to have a cochlear implant I expected fear or surgery, fear of failure and so on was the main reason. I was therefore surprised to realise there are far deeper reasons, often ones we don't recognise which makes this decision so hard. Why is there a variation between the outcomes for some Cochlear Implantess? I'm not a doctor, just a successful implantee and I get asked this question frequently. And what constitutes success? On September 11 Cochlear Limited announced a recall of some versions of their N5 implant. This recall sent their shares immediately tumbling by a hefty 20%. why would a company which has experienced phenomenal growth and increases in share prices do something so drastic? Navigating the journey of Cochlear implantation in children is new territory for new parents. The Sydney Cochlear Implant Centre held a forum to help parents understand their options if their child is found to have a hearing loss. The Cochlear implant has come a long way since its invention, but has it yet returned normal hearing? According to Graeme Clark, the Australian inventor of this technology, the answer is NO. So as a user, where is it lacking? The Nucleus 6 Cochlear Implant processor has just been released. I currently have excellent sound with my Nucleus 5 Cochlear Implant processors, so why am I going to upgrade for the third time? I asked two people who already use the system to give me their comments. Recently a member of our Cochlear Implant Forum raised a couple of extremely important points, probably the crux of the issue with cochlear implants for people who identify with the Deaf community. These are a sense of community and a sense of identity. Having a Cochlear Implant allowed me to hear for the first time in 15-20 years. But there are some limitations. I asked a group of recipients to tell me about the limitation of distance. When a child is born hearing he usually doesn’t need any support or extra help to learn how to talk. However, when a child is born deaf he needs intensive support usually for speech and language therapy. What about Cochlear implantees? Does a Cochlear implant hurt? This is a question which gets asked frequently. It comes about because there’s a fear of having something inserted into our heads and it poses a number of questions. Technology is improving all the time and unless we hear about these then there’s no way they can benefit us. I asked Linda Ballam-Davies from Cochlear to give me the latest information about new implantable solutions. Cochlear Implants have come a long way since the first implant in 1978. Newer, smarter, more sophisticated and smaller devices are on the way making hearing an easier and better experience for those who need an implant. I am amazed I can hear, will never stop listening and will never give my processors back, and I always choose to wear them, there are some frustrations at the solutions they provide. Sometimes this is a small price to pay for normal hearing but other times it seems too high a price. A question which arises frequently about any kind of hearing device (hearing aid, cochlear implant, baha) is how much does it cost and how will I pay for it? How you will do this depends very much on where you live in the world. When Jennie went deaf she used hearing aids. Now that she has a hearing and a cochlear implant she says that she hears well in 99% of situations. Do others notice the difference in us now that we can hear again? Do we find it different? Are there noticeable differences with bi-lateral hearing? When I first had my cochlear implant I was told that however well I was hearing after 12 months that would be the best I would ever hear. But is this the case? When I recently became a live kidney donor for my husband, I found hearing in hospital was critical. That’s a really interesting proposition isn’t it – without doubt, deafness changes your life often pushing you in directions you could never have anticipated. “Do the voices sound like a robot, or are they just as how people that are not deaf hear them?” That’s a really good question one that I think is asked frequently and the answer is misunderstood so I will try to explain. How do you choose a Cochlea Implant brand? Which brand will work best for me? How do I make that choice? Choosing a cochlear implant brand is not quite the same as choosing a brand for a new car? Cochlear's recent 30th year celebration started me wondering how many implantees there are and where they are. How well do you hear from a distance? 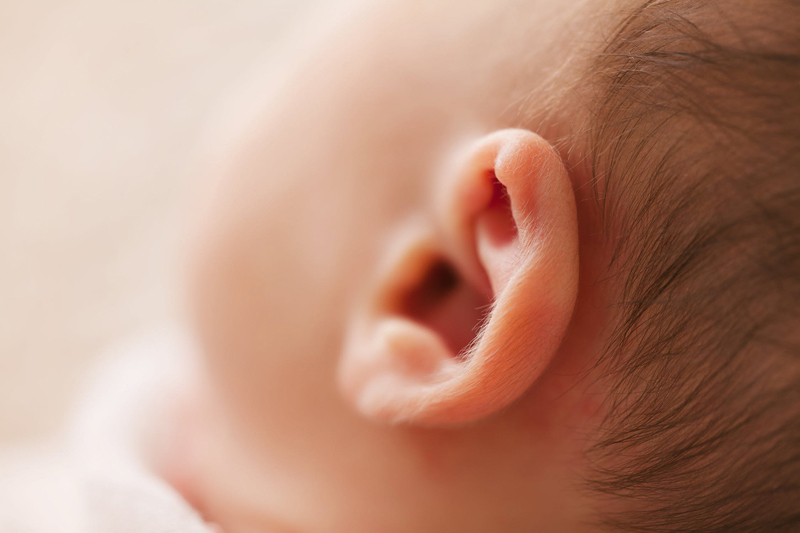 A baby has a severe/profound hearing loss. Should the child be implanted with a Cochlear implant? This is a debate which has raged for years and doesn’t seem to be abating. Excellent transcripts of Professor Graeme Clark´s Boyer lectures series. He developed the Cochlear implant and discusses the loss of a sense and how this technology is being researched for use to return other senses. Is a cochlear implant worth it? Robyn was deaf from an early age but she became one of the first in NZ to have a Cochlear Implant. When it failed after 15 years she had no hesitation in being remplanted. But when that implant also failed - what was she to do? This is her story. How do we go about learning to hear with a second implant? How do you proceed to get the best of your hearing? With one in six people having some form of deafness and even more as we age it means that almost every family or households are touched by deafness. This is a true story about how one family had been affected by deafness. Cecile, a beautiful young French woman who was born deaf continues her story about how she struggled to hear and her decision to have a Cochlear Implant. The device which allows someone with a Cochlear implant to hear is called a Speech Processor – and that’s no accident. Music can fall outside of these ranges and is one of the reasons we find it harder to understand. Music was one thing I was told I would not be able to enjoy when I had my first Cochlear Implant. So it was a surprise when a few months after switch on I was enjoying music, bought a new piano and started playing again. In February 2010 I had my second cochlear implant. This time I was more interested than fearful in the operation process. Perhaps my experience will help someone else make this hard decision. Myths about Cochlear implants, how they work and what they do still abound. There is usually a grain of truth in a myth – which is why the myth exists. So let’s look at some of the common myths and discover what is true and what isn’t. An introduction by the new Deafness Editor. How do you get a Cochlear Implant? How do you qualify? Where can you get one? It’s a question I get asked often and although it is different in every country the steps are sure to be similar. I attended a lecture by Geoff Plant, AO about Music perception for Cochlear Implantees. Some of the discussion was very interesting. I was recently asked whether someone who has an implantable hearing solution can feel the implanted device particularly when the temperature changes. Since implants have a component of metal (titanium) can you feel it if it’s hot or cold? Questions about a Cochlear Implant? No one likes having an operation, but my recovery from a recent second Cochlear Implant Operation has been excellent. My experience may help someone else understand what it is like. It should be simple to hear with two ears shouldn't it? I know how to hear. So why did I need to re-learn? Should you upgrade your implant processor? Cochlear (and probably all other cochlea implant manufacturers) promise backwards compatibility for all implantees, whenever new technology implants and processors are released. Should you upgrade? We cochlear implantees often get told we are hearing at a high pitch, that the sound is robotic and metallic and I get quite frustrated about this myth. I wondered if it was just me or do others feel the same way. It’s now one month since my second cochlear implant was switched on and it’s time to test what sounds I understand. Having the surgery for a Cochlear Implant is only the first step in my new hearing process. There are many other things to be done. One of the first is the Telemetry Test to determine which electrodes are working. Cochlear implants provide excellent speech recognition for the majority of implantees. The next thing we all want is to enjoy listening to music and hear it the way we once did. Here's some tips about who to get the best sound for music with your Cochlear Implant. There have been many devices trialled over the years, which are said to help the deaf hear. From hearing trumpets to finger ticklers, waist devices and the latest of these is the Tongue Device. You’d think that perhaps someone who was (say) over 90 would be too old to have a Cochlear Implant wouldn’t you. Well it seems this is not always the case. In a few days we are heading off around the world for two months. This means we have to plan how to manage our health and hearing needs well in advance. When you need a hearing aid of some kind, using a phone can be tricky. This article looks at some ways of using a phone with a Cochlear Implant....but some of the things also apply to using a phone with a hearing aid. When cochlear implants were first available only one ear was implanted. However, the importance of creating the hearing experience to be as close to normal as possible is recognised. Cochlear implantees are encouraged to use a hearing aid in their unimplanted ear. A Cochlear Implant is not an alternative to a hearing aid. It is only an option if a person cannot effectively use hearing aids. It is not a high powered hearing aid and does not amplify sound. It is a serious decision, one which is taken after testing and all other avenues for hearing are explored. A recent development in cochlea implants is the Hybrid or electroacoustic implant. What this means is it is part cochlea implant and part hearing aid. When will I hear with my Cochlear Implant? Many of us haven't heard for years. We can't get in touch with what it might be like to hear without the constant need for lip reading, watching people, being extra alert and feeling exhausted most of the time. So when will I hear with my Cochlear Implant? I cannot remember hearing with two ears and now I am considering bi-lateral cochlear implantation. I wanted to know what I could expect by hearing with two ears. Why can't I hear RIGHT NOW! ‘I’ve had a cochlea implant. I know what sound is. I know what speech is. So why can’t I hear straight away? And how can I explain this to my family and friends?’ For those of us who’ve gone deaf and had a cochlea implant these are questions we hear all the time. Why do people become Cochlear Awareness Advocates? When someone gets hearing aids they don't become a hearing aid advocate and join a group telling people about their experience. Yet Cochlear Implantees often become Advocates. I wondered why? Why upgrade a Cochlear implant sound processor? If it’s not broke don’t fix it!! Surely this is the way of hearing aids and Cochlear Implant processors. So why would we upgrade, often at considerable cost, when what we wear and hear with now is working fine?